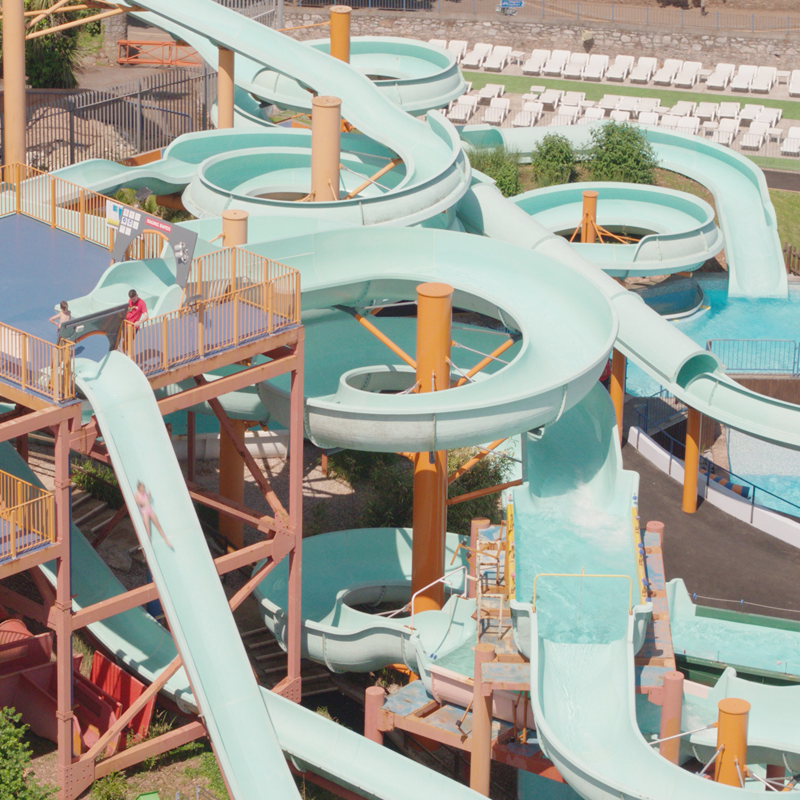 Turn up and take to the flumes – it really is that easy! That’s because when you book a birthday party at Splashdown we’ll provide everything, from invitations to refreshments. 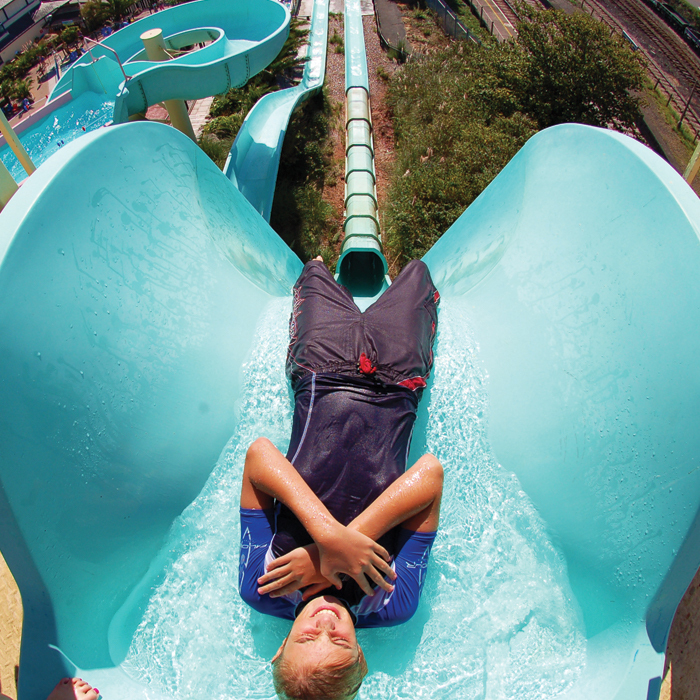 Enjoy fun on the flumes for at least an hour and a half, with a break for Slush Puppies and a chance to catch your breath. Then, once the kids have worked up an appetite, it’s up to The View restaurant and beach bar for a party meal to finish off the celebrations. What’s more, your dedicated party host will make sure things go swimmingly. A hassle free party? Now that really is something to celebrate! Choose from a selection of burger meals & a soft drink. Sandwiches are available instead. The PERFECT all-day package. A memorable day out for everyone that your friends will be talking about all year! "Thank you to all for making the party so special. We had an awesome time. Jasmine, Maddie and the kitchen staff made sure we had a fluming good time. Thank you." 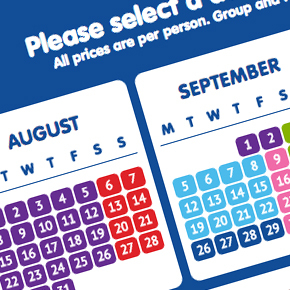 Planning your party at Splashdown Poole couldn't be simpler - find out everything you need to know below! Before making your booking please check our OPENING HOURS to ensure that you know we will be open on your preferred date. As our parties are popular, we advise that when making your booking you have a couple of dates/times in mind to avoid disappointment. 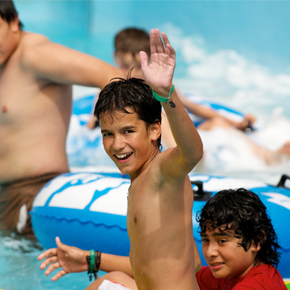 Don't let the kids have all the fun, children under 9 must be accompanied in the water with a maximum of 2 under 9's per adult ratio in operation. But, additional adults up to this ratio swim completely free... so get those cossies out and party! You are just a few clicks away from that hassle free party. To book please select 'BOOK NOW'on your desired party option and complete the simple steps. On booking, you will be asked to pay a non-refundable deposit of £40 to confirm your party. The remaining balance can then be paid on the day by cash, cheque or debit/credit card. Once you have booked your party, we will post out to you a party pack confirming the date and time of your party, your party invitations and, if chosen, a food menu. Extra party hosts may be available for an additional £20. However, a minimum of 7 days notice is required. If you need to make any amendments to your booking, don’t worry. 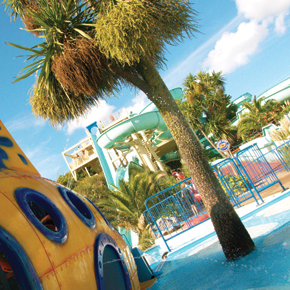 We are just a phone call away on 01803 555550 or you can email us on parties@splashdownquaywest.co.uk. We hope that you may find the following documents of assistance when making your party booking. It is important that you read our Party Term's and Conditions before proceeding to confirm your party with us. Please read our 'Terms & Conditions' before making your booking. Please ensure that all members of your group are aware of and adhere to our Health & Safety Guidelines whilst they are on the premises. 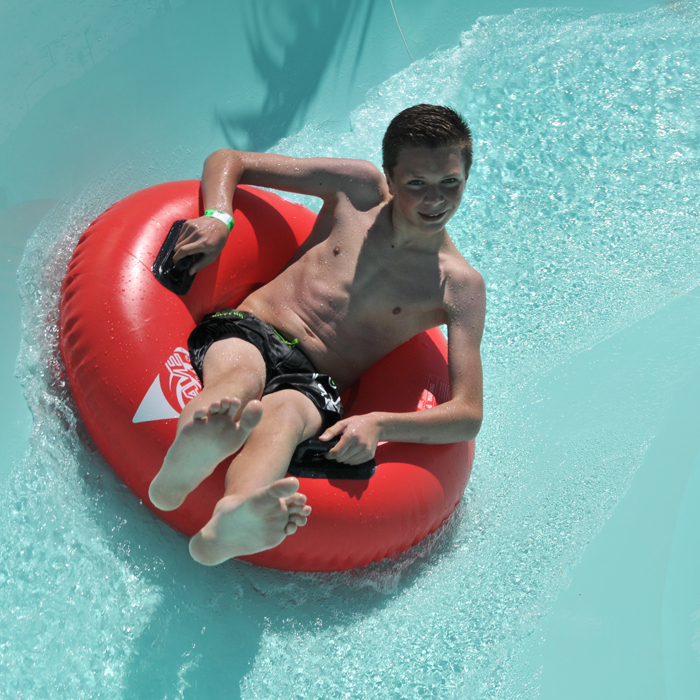 Tumble on tyres and twist through the tubes! 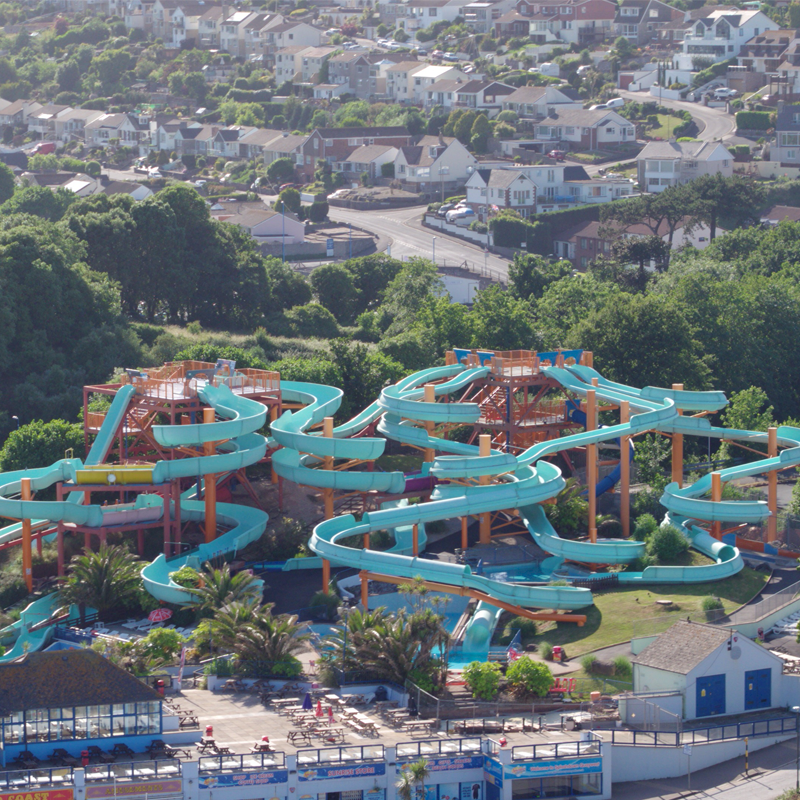 Check out our 8 rides before your party; each with a varying degree of difficulty.